Over the summer you might have stumbled onto Robert Kirkman’s plea for comics creators to leave DC and Marvel behind for independent publishing (or to come to Image, if you read it with a cynical view). You may also have heard that Brian Bendis attempted to call BS on Kirkman’s plea and debated him on the topic. While the debate didn’t have a clear winner, the stances were clear: Kirkman wishes more creators at DC and Marvel realized how much money they could make by going independent. Bendis thinks Kirkman’s sales are too high to be a reasonable example, finds his Marvel deal (including a page rate, royalties and placing Powers at Icon) preferable and kept talking about the value of trade paperback reprints. Unfortunately, nobody really got into the numbers of the situation, despite reports of Kirkman having some charts on hand. Fortunately for you, I don’t fear math, so let’s find out what you could reasonably expect to make as a comic creator under the Image deal. So, let’s get to first things first: Are Todd’s numbers right for PvP? Yes. PvP sells on average around 3k a month. It breaks even and makes anywhere from 300-500 bucks for me per issue. So to categorize the monthly title as “making beer money” is pretty accurate. Used to be a lot more but I’ve done a lot to ruin that profit margin. Here are some tips for those of you who want to make your own monthly titles. Support this film by purchasing a copy at Infowars. Who is the Bilderberg Group? The Bilderberg Group, which convened for the first time in 1954 in Holland, is considered the most powerful decision-making organization in the world. The Bilderberg Group is a genuine “shadow government” of the West that, some critics say, decides the fate of the world to suit the interests of the restricted oligarchy it represents. 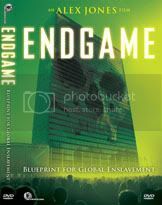 For more information check out Jim Tucker’s Bilderberg Diary, The True Story of the Bilderberg Group by Daniel Estulin and ENDGAME: Blueprint for Global Enslavement by Alex Jones. Or you can simply Google “Bilderberg”. This years Bilderberg Group meeting is happening RIGHT NOW at the Westfields Marriott at 14750 Conference Center Dr, Chantilly, Virginia. Click here for satellite map. Reports have steadily been coming in, including the complete attendee list. The man who heavily influenced the last Ultraist Comic SPUD & HARRY; G. Edward Griffin, appeared on the Alex Jones Show last tuesday, and is now available here for your viewing pleasure. Also, G. Edward Griffin’s book “The Creature From Jekyll Island” is available for purchase in the Ultraist Studios Store. Interesting… a One Million Dollar Coin from the Royal Canadian Mint! The worlds first 100 kg. 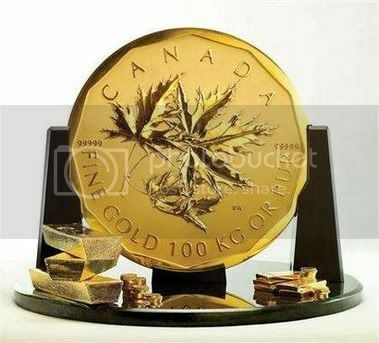 99999 pure gold bullion coin with a $1 million face value, and at 53 centimetres (21 inches) in diameter and over 3 cm (1.2 inches) thick, the massive coin is the size of an extra-large pizza, was introduced on May 2, 2007 to the international market. Coins minted from precious metals have intrigued me ever since I did the research for Spud & Harry #1. 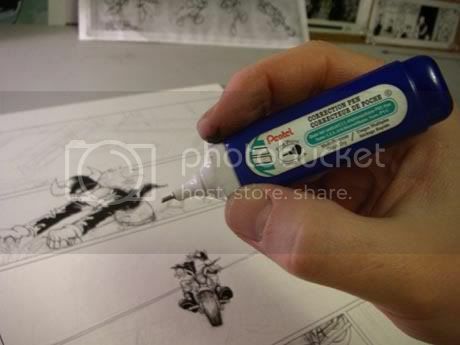 The video comes via Cartoon Brew, via Boing-Boing, via Tommy Liberto. Parts of this will be turned into Mantra. The Creature From Jekyll Island by G. Edward Griffin is a book I heavily referenced for my next comic, Spud & Harry. It discusses the The Federal Reserve System, Fractional reserve banking, fiat money and precious metals, etc. One of the best reads I’ve had on the subject. From Amazon: This book is about the most blatant scam of all history. It’s all here: the cause of wars, boom-bust cycles, inflation, depression, prosperity. Creature from Jekyll Island will change the way you view the world, politics, and money. Your world view will definitely change. Here is an mp3 radio interview with the author G. Edward Griffin.